A 15-minute educational classroom presentation prior to entering the water. 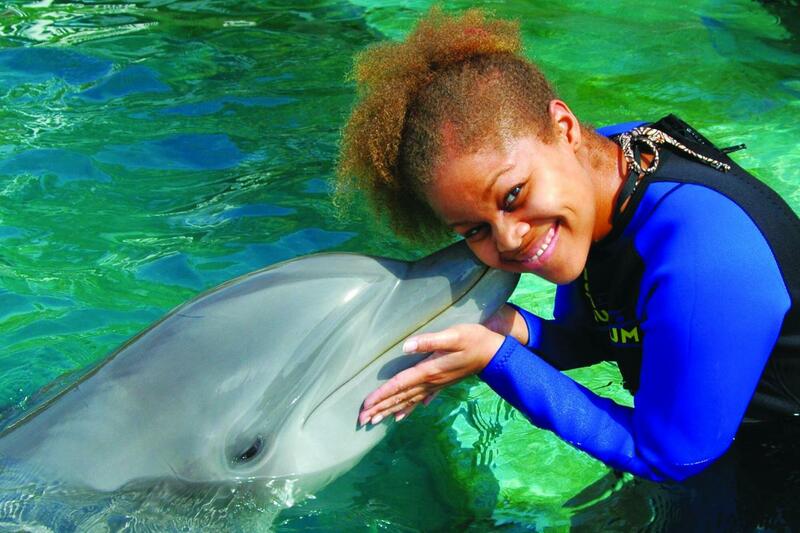 A 30-minute shallow water experience including touching, feeding and swimming with a dolphin. You’ll even learn what it’s like to train a dolphin, getting up close and personal like never before. Minimum height requirement is 52". No exceptions. Observers may only be booked with a Dolphin Harbor participant. Paid observers receive complimentary park admission. No jewelry can be worn in the pool. The program begins with an informative classroom session where you'll gain insight on these intelligent and fun-loving mammals. 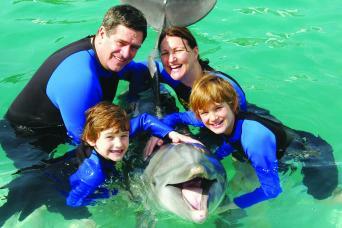 Then you'll wade into the water for an unforgettable shallow water experience with a dolphin. You'll have a chance to touch, feed and play and swim with a dolphin. 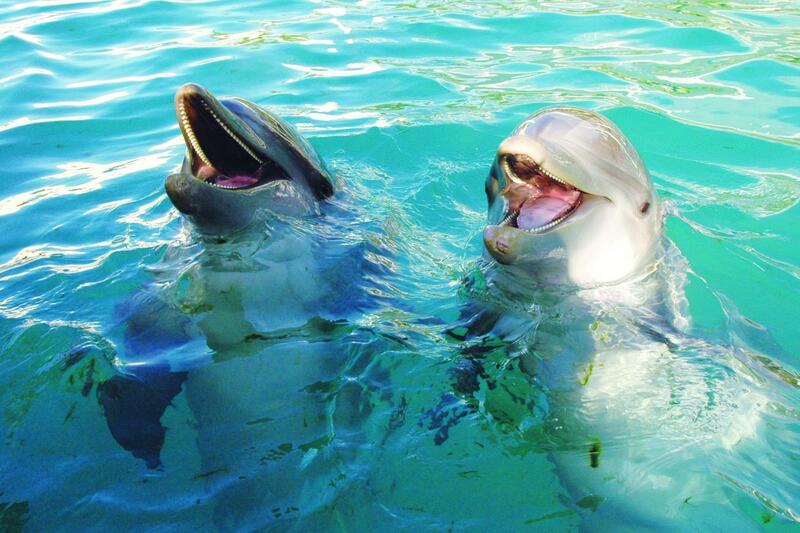 You'll even learn what it´s like to train a dolphin, getting up-close and personal like never before. •	Programs will run rain or shine, occurrences of severe weather will be addressed on the day of the program. •	Reservations are required, as space on interactions is limited. •	For safety reasons, pregnant women are not permitted to participate in any of the animal interactions. •	Guests must arrive 15 minutes prior to interaction. •	Participants under 18 years must be accompanied by a paying adult as an observer or participant. •	Participants are not permitted to wear any jewelry or piercings during any of the animal interactions. •	SCUBA certification is not required to participate in the interactions. •	Guests participating in animal interactions will receive complimentary park admission. •	Participants should bring sunscreen; wear a swimsuit, shorts and comfortable shoes. Wet suits will be provided by Miami Seaquarium®. Please call at 1.877.643.1258 or e-mail miami@grayline.com 48 hours prior to service to reconfirm details. Present your ticket to to the park admission.